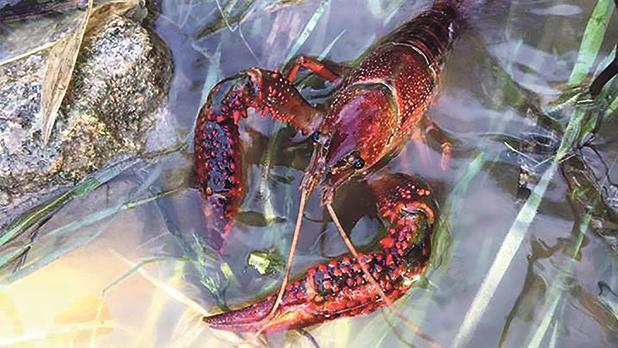 Red crayfish, an invasive species, began spreading through Malta last year. Photo: Matthea Wadge. The Environment and Resources Authority has called for collective action towards the combating of invasive alien species, with a new national strategy open for consultation. These species are considered to be one of the major causes of biodiversity loss, both in Malta and worldwide, and ERA said on Wednesday it had developed and launched a national strategy and a set of eight complementary codes of good practice to address this aspect. Alien species are plants or animals which are not native to the Maltese islands and which are introduced into the environment by humans. Invasive alien species, meanwhile, are those which, after being introduced deliberately or accidentally, start growing and multiplying spontaneously in the wild. Examples of invasive alien species have become a common sight, and unfortunately often take over native biodiversity, include the crimson fountain grass, acacias, century plants, Kaffir fig and rats. Certain invasive alien species also create significant socio-economic impacts, particularly plant pests, which affect the agriculture and horticulture sectors - such as the red palm weevil, which affects palm trees. The National Strategy and Codes of Good Practice which ERA developed have been designed for use by all those stakeholders involved in the regulation, movement and use of, as well as management of, alien species in the Maltese Islands. The documents are available for viewing on the ERA website and will remain open for public consultation until January 23.